"Phil was born and raised in Alaska. He has lived and worked around the world, but is always drawn back to the grandeur of Alaska. 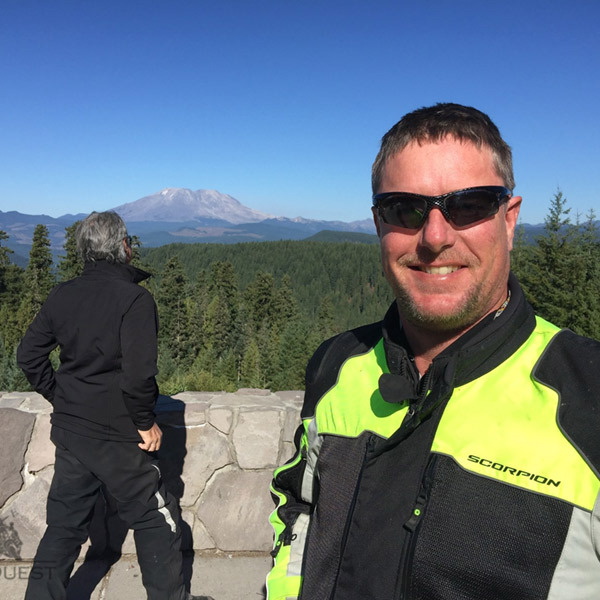 He started Alaska Rider Tours in 1998 with just three used motorcycles, and a dream to share Alaska. He is the owner and founder of MotoQuest. Phil believes we all have choices in life, and motorcycling the world is the best of them. " Quote: There are two kinds of people: Those who ride motorcycles, and those who want to ride motorcycles. Expertise: Adult First Aid/CPR, Moose Packer, Inner-Tube Water Polo Referee, Midnight Grocery Store Stocker.